Pima County Public Library congratulates Library Nurses Daniel Lopez and Gloria Barrett for being selected 2015 Tucson Fabulous 50 Nurses by the Tucson Nurse's Week Foundation Board of Directors! Each year, the Tucson Nurses Week Foundation honors outstanding nurses in our community with the Fabulous 50 Award. The selection committee received 178 nominations, and all 50 honorees will be honored at a gala event in May. The first thing you notice about Daniel is how gentle, compassionate, and patient he is with library customers. His nonjudgmental appreciation for others' needs, his heart for social justice, and his ability to remain calm in the most difficult situations are apparent in his work every day. While maintaining professional boundaries of his job and his responsibilities, Nurse Daniel does not forget that people--regardless of their situation or income status--are still people and deserve to be treated with respect. Daniel splits his time between the Joel D. Valdez Main Library and the Woods Memorial Library. 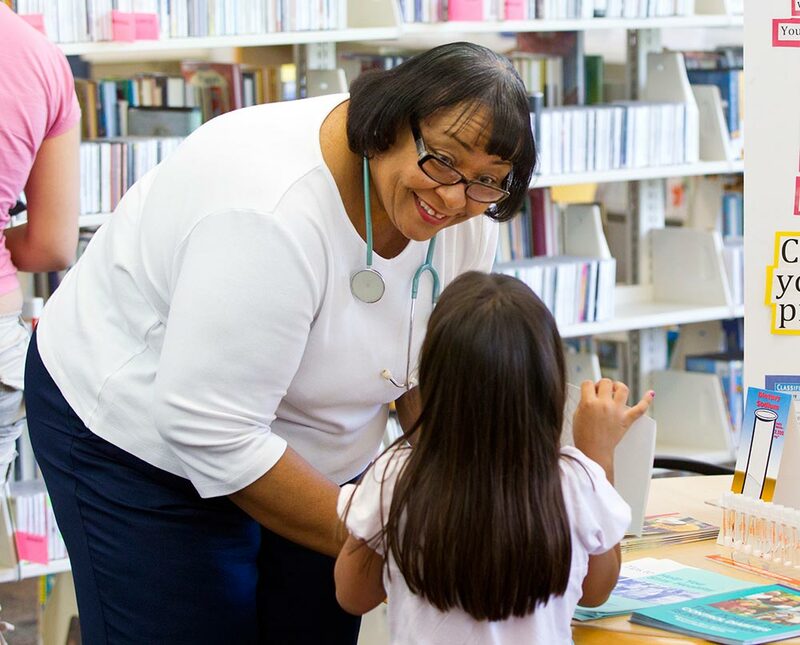 The other Public Health Nurses like Gloria from the Pima County Health Department spend one day a week or one day a month at a library in their service area, depending on their availability and the needs of the community. Reducing the library's need to call 911 for assistance.